Professional quiet, spa setting. Far Infra-red Dry Sauna and shower facilities. Deep Tissue, Light Touch,Reflexology, Acupressure & Trigger Point Techniques, specialize in working with special needs and physically challenged adults. Corporate Chair Massage (seated acupressure massage). Ear Candling, Raindrop Technique (uses Young Living Essential Oils). 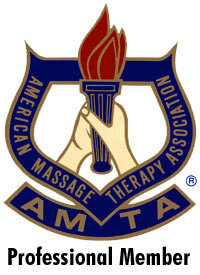 State Licensed and Nationally Certified Massage Practitioner,professional member of www.amtamassage.org since 1999. My interest in massage therapy education began in 1986 after receiving an immensely beneficial therapeutic massage.... I Attended The Health Enrichment Center, in Lapeer, Michigan in 1998-99. I pursued additional training, practiced on the willing, read many books while maintaining a full time key postion with a non-profit organization. Beginning in 2001 Goodfellow Massage became a reality. Today I maintain a full-time massage therapy practice in Oxford, Michigan. Located in a private, quiet setting just minutes from M-24 (Lapeer Road). I offer the far infrared sauna for relaxation purposes before a massage. If you would like to read more about the protocol for detoxing using the sauna Sherry Rogers, MD has written a book 'Detoxify or Die'. Her website is www.prestigepublishing.com. I highly recommend reading it for in depth information to anyone considering serious detoxing. The Goodfellow Massage approach is to focus on developing a plan of individualized massage sessions An initial evaluation determines the overall health of the client, the client's desired results, the potential need for referral to other health care professionals, and the setting of goals for increasing the well being of the client. The massage practitioner then works to achieve this goal through massage tailored to the clients needs. Massage stimulates the nervous, circulatory, and respiratory systems, connective tissue, and muscles to provide a decrease in muscle tension, relief of pain related to soft tissue dysfunction, increased circulation, and many other benefits. Nancy Goodfellow specializes in assisting people with special needs and medical conditions. Goodfellow Massage also provides an energizing acupressure chair massage to the employees of corporations and events (large and small). Hours: Monday thru Saturday, by appointment only. More candle information at www.innerlightconnection.com. Very relaxing and helps to relieve pain. For more information please call or email. Go to www.hightechhealth.com to view the sauna and read about the benefits. It is the combined work of the late Eunice Ingham and her nephew Dwight C. Byers, the world's leading authority on Foot Reflexology. Mr. Byers, director of the International Institute of Reflexology®, and/or his hand picked instructors conduct on-going workshops on a worldwide scale to both laymen and professionals. WHAT DOES REFLEXOLOGY DO ? The Ingham Method™ of Reflexology is used primarily for relaxing tension. Doctors agree that over 75% of our health problems can be linked to nervous stress and tension. Reflexology improves nerve and blood supply, and helps nature to normalize. WHAT SPECIAL EQUIPMENT IS NEEDED ? CAN REFLEXOLOGY MAKE A CONDITION WORSE ? The International Institute of Reflexology® wishes to make it perfectly clear that it does not purport to teach medical practice in any form; or is the Ingham Method™ of Reflexology intended to replace conventional medical treatment. Reflexology is a unique modality in the health field. Its purpose is not to treat or diagnose for any specific medical disorder, but to promote better health and well being in the same way as an exercise or diet program. Its practice should not be compared to massage or any other kind of manipulative procedure. Like being in an Herb Garden! Do you enjoy the aromas of an herb garden on a warm summer day? How about a soothing, gentle massage that helps your spirit to be renewed? If you’re saying yes, yes!, then you would enjoy this aromatherapy massage using nine different essential oils. Download pdf to read more....!! Increases circulation, lymph and vitality. Promotes the release of toxins and eliminates excess. The residue of sea salt from the sea stones purify and balance the electromagnetic field. Irons out tight muscles, softening the tissue with heat. Sedates the central nervous system when the stones are placed along the spinal column. Increases kinesthetic awareness of the body by alternating textured and smooth stones. Gently exfoliates the skin, enhancing liver function. Incorporates sound and vibration, i.e., clicking, tapping of stones. Adds more energy to the session since stones are living, swirling microcosms of energy. Renews the sweetness of life!